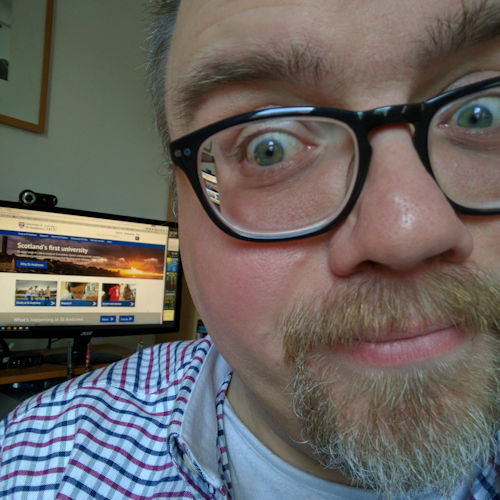 Following up from my post last week where I posed the question Copy – could this draw me away from Dropbox? 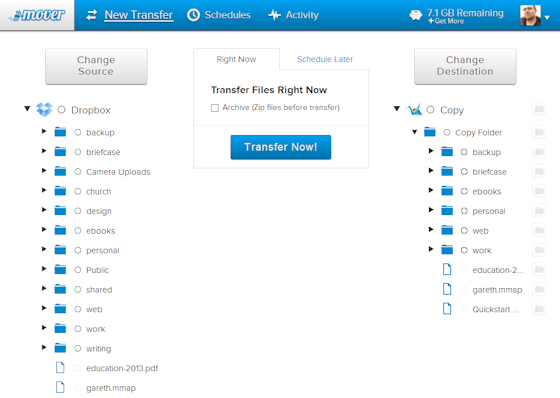 last night I began transferring files from Dropbox to Copy to see how it compares with my data in place. 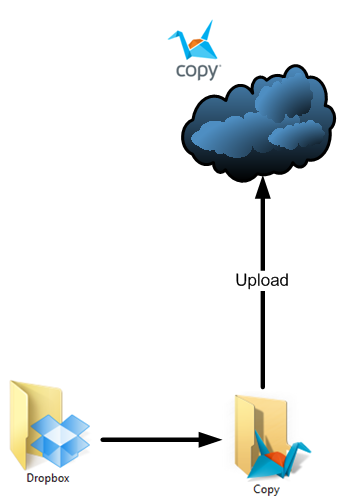 Today I’ve been using a third party web-based service called Mover to transfer the files from cloud to cloud, which is faster. Before I go on, though, I just want to say thank you to everyone who used the referral URL https://copy.com/?r=SJuusn which gives both us an extra 5GB. My Copy account is now four times larger than a standard free, 15GB account—it is now a massive 60GB. Thank you. 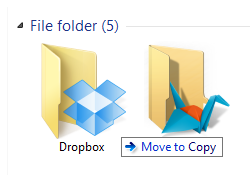 Obviously, the simplest option when migrating from one cloud-storage host to another would be to manually copy my files from the Dropbox folder to the Copy folder in My Documents. I’ve done that with a few folders with only a handful of files in them, simply to judge the speed that Copy uploads them into the cloud. The trouble with this method, however, is that on a domestic ADSL broadband connection my upload speed is significantly slower than my download speed; that’s what the ‘asymmetric’ bit of asymmetric digital subscriber line (ADSL) means. 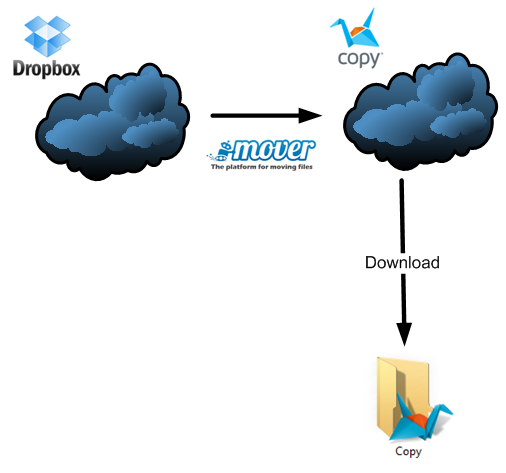 A faster method would be to transfer the files from my Dropbox account my Copy account in the cloud and then download them to my Copy folder on my PC, as my download speed is much faster. It turns out that I’m not the only person to have thought of that. So this morning I signed up for a free account with Mover. The free account allows me to transfer up to 10GB of files from one service to another, after that it costs US$1.00 per GB (minimum of 10GB). Within only a couple of minutes I had an account created, which was then given permissions to access my Dropbox and Copy accounts and the transferring began. What’s also nice is that it doesn’t require my PC to be on while Mover is copying files as the transfer is happening in the cloud, and I can gradually download the files when my PC is on. its free and i was able to move 7GB of data from dropbox to copy and dropbox to google drive.